We provide services that are based upon proven accomplishments and people experienced in developing and supporting information systems on a wide range of platforms. As a technology-driven, knowledge-centered and delivery focused company we are committed to provide superior solutions tailored for using leading-edge technologies. Our extensive people experience and capabilities across wide range of technologies helps us to weave the right mix of technology for client's business challenges. As we constantly strive to build competency in the emerging technologies, we hone our people skills and capabilities for delivering excellence in our technology practice. Our team of industry domain experts and software developers has the know-how to offer our customers business applications that are tailor made for their businesses. We also help our customers design, develop and support IT infrastructures that are capable of driving new e-business opportunities, maximize the return from their IT investment and meet their business requirements. These development services by themselves could be a development center for a customer such as a documentation center or a technical support center. These dedicated centers will work closely with the client engineering organizations closely as an extended arm of the customer's parent organization. VGSL offers deep expertise across some of these development practices in terms of domain and technology depth. In today's market, organizations are coming under increasing pressure to align IT investment with business direction, reduce IT costs or implement an IT infrastructure that is scalable. Provide precisely the level of support your IT staff needs to keep things running smoothly. Will be able to provide valuable sizing models for the environment that you would like to build. Help in identifying and protecting data migration problems that can create expensive downtime and information loss. 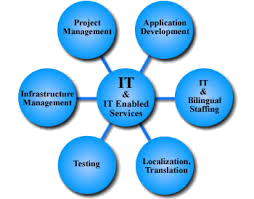 Help in moving of IT environments a snap with proven processes from our experienced team. As a customer-centric and relationship based company, we continue to provide extended maintenance & support while our customer's products reach the users and continue to get stabilized in the market. We create dedicated team and an exclusive team based on type of product support proposed by our customers.